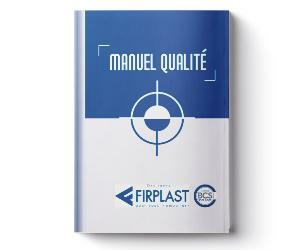 The FIRPLAST QUALITY STRATEGY is brought to the attention of all staff members. Offering the right product, at the right time and at the right price. 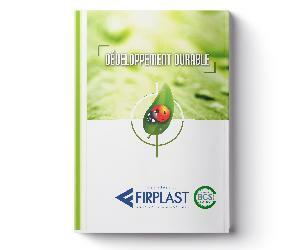 t is by following this strategy together that we will succeed in ensuring the sustainability and development of FIRPLAST in the years to come. Be convinced that our employees, our customers, our suppliers and other partners are the heart of our success and that we must work every day to their satisfaction. Today everyone agrees that not only environmental issues are real, but that companies have an important, even essential, role in the preservation of the following three areas of sustainability: economy, environment and society. FIRPLAST has always been part of this process. We are now consolidating this commitment by setting up an environmental management system that complies with the ISO 14001 standards. Our commitment translates concretely into the identification, control of risks and the progressive development of procedures in emergency situations. Following this environmental analysis, we set up indicators and objectives that are monitored and analyzed regularly. reduction of our consumption of natural resources. that the policy is available to the public and communicated to anyone working on our behalf.